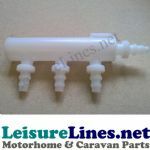 EXHAUST END FINISHERS Keeps your motorhome cleaner from exhaust soot deposits. While displaying a smart appearance to exhaust end. The finisher have been specially developed to direct exhaust exit down through base of finisher, while appearing to leave a normal round end to the exhaust. 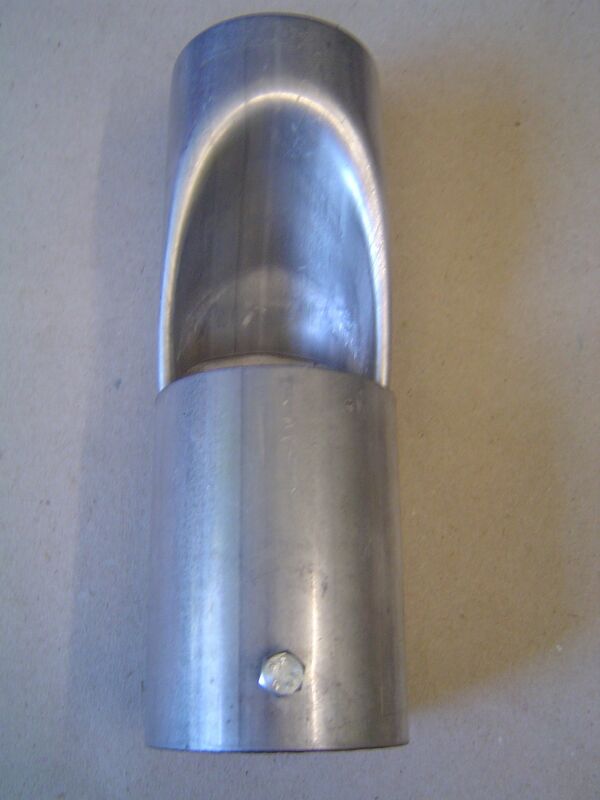 As no exhaust gases leave through this end it remains clean of black deposits, and so do your sidewalls. Gloss chrome finish adds to appearance, new aluminised finish will keep appearance longer than chrome plated (more corrosion-proof). L= length of finisher, ID= internal diameter, OD= outside diameter. All sizes mm. Boxer/Ducato/Relay 1994-2002 EXH100D70, EXH280D70, EXH284D70, EXH285D70. 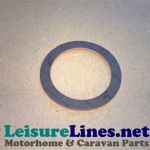 Boxer/Ducato/Relay 2002-on With rim cut off EXH101D70, EXH281D70. Ducato 14 2002 ON Without rim cut off EXH282D76. Ducato 18 2002 ON Without rim cut off EXH283D79. Daily, Sprinter/VW LT 97 on With rim cut off EXH100D70, EXH280D70, EXH284D70, EXH285D70.